An anonymous witness at the trial of a U.S. preacher in Turkey said the American evangelist’s ultimate aim was to set up a Christian Kurdish state, pro-government newspaper Sabah said. 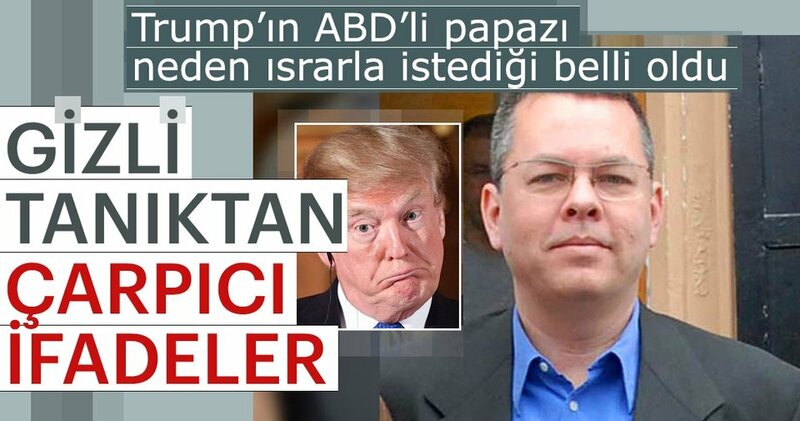 For 23 years Andrew Craig Brunson had been seeking to convert the Kurdistan Workers’ Party (PKK) armed group to Christianity and to aid it in breaking up Turkey, the witness, a former churchgoer known only as Serhat, told the court at the pastor’s trial. Brunson is accused of terrorism and espionage, and faces up to 35 years in prison. U.S. President Donald Trump has personally taken up Brunson’s case, asking Turkish President Recep Tayyip Erdoğan for his release and tweeting in support of the pastor. “Brunson wanted to begin a Christian movement and establish a Christian Kurdish state,” Serhat testified, saying that he would get Ahmet, a Syrian Kurdish member of the congregation, to speak at services and was trying to convert the Kurds of every province in Turkey. Some members of the church would worship in Kurdish and carry out PKK propaganda, Serhat said, including Ahmet. Ahmet later married a Belgian missionary and went to Belgium, where “every week he would cut a cake with a PKK flag with a cross on” and continued activities on behalf of the PKK, Serhat said. Brunson was bringing refugees to his church in Izmir and either ensuring their passage to Europe, the United States, and Canada, or else sending them back as soldiers to fight for the mainly Kurdish forces of the People’s Protection Units (YPG) in Syria under the guise of distributing humanitarian aid, the anonymous witness continued. Brunson denied his church had been used as a place for terrorist propaganda, saying there was no evidence of it. He also denied that he had ever sent anyone overseas for any purpose and said that if he had known that Ahmet had had links to the PKK, he would not have let him into his church. The allegations were “embarrassing and disgusting”, he said. He was unashamed, he said, of serving Jesus. "Today's 11 hours of proceedings were dominated by wild conspiracies, tortured logic and secret witnesses, but no real evidence to speak of," vice chair of the U.S. Commission on International Religious Freedom, Sandra Jolley, who attended the trial, said. The court ruled that Brunson should remain behind bars until the trial continues in July.